Most women know better than to try and connect with an emotionally unavailable man—the problem is that we’re not always as adept at reading the signs when we see them (or rather, admitting that the signs are there). That’s what I want to help you work on today. 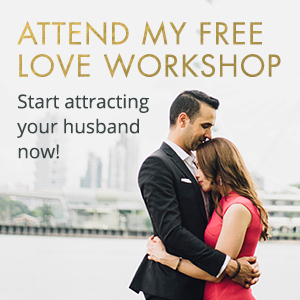 Because if you’re reading here, I’m sure you’ve wondered: “Why am I the one who has to do all the work in my relationships?” Or maybe you’ve read countless books and attended even more seminars and workshops to improve your love life. I feel you. I see you. And I so understand and empathize with the work you’ve put in. Today I’m here to help you change the only thing you can: how you develop (and protect) your heart and mind from the get-go. And that means recognizing and understanding emotionally unavailable men from the start. 1.Emotionally unavailable men can be good men—AND still not be available. This is an important point to start with, because I want to be clear that we are not demonizing emotionally unavailable men. They’re not all jerks and they don’t all hate love. They could very well just be clear that they don’t want to be in a relationship. Being simultaneously single and “off the market” only means that they are not serious about falling in love at this point—but that doesn’t make them bad guys. 2.Emotionally unavailable men can have positive traits too. And you need to ignore them. Yes, they can be charming and sensitive and great communicators too—but if they don’t want to be your boyfriend, none of those qualities matter! (And, by the way, there are emotionally available men who have positive qualities, too!) With the emotionally unavailable sort, you need to ignore the positives and believe the negative traits for what they are: an indication that there is no long-term romantic future with this person. 3.Emotionally unavailable men aren’t the only ones at fault. It’s not hard to spot an emotionally unavailable man: they’re non-committal and they go silent whenever they want. And sure, that behavior is on them, but it’s also your responsibility to read the signs. And furthermore, many men will be very honest and explicit about their intentions in dating you—they will say honestly that they’re not looking for a relationship. It’s your responsibility to take them at their word and not assume that you can “change their mind.” Respect their choice and their forthrightness and move on. It’s not in your power to change an emotionally unavailable man; he has to be inspired to do that on his own. But you can focus on what is in your control: your tolerance for his lack of devotion or commitment. If he is not not claiming you as his girlfriend . . . If there are substantial periods of silence in between dates . . . If he actually said: “I’m not looking for anything serious right now” . . .
. . . then he is unavailable. No matter how nice, attractive, successful, or funny he is—he is emotionally unavailable and you’re wasting your time. But you don’t have to. Keep your heart open—but keep your eyes open too. Look for these signs and cut your losses when you see them. 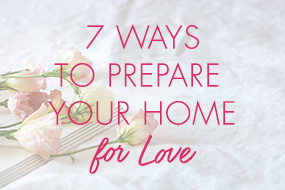 You deserve to be in a fulfilling partnership where you’re both available for long-term love. I’ve been single now for 9 yrs. I had a traumatic relationship and the death of my new born. I took my time, went to therapy and worked on me. Finding myself again was not easy. I was so used to being what he (and other) needed. I found my voice and boy do i use it :-). Now that i found me, I can’t seem to find him. I wonder if I’m too picky but at the same time I don’t want to settle. I’m overwhelmed. Anything or anyone that does not bring you alive is too small for you.